Imagine the following scenarios for a moment. You are driving down the road and reach to grab your phone. You start up a conversation with your spouse about dinner plans for the evening. Or maybe you are trying to get your kids in the backseat to calm down and behave. You pull out your cell to answer a text from your mother. What do all these situations have in common? The driver, you, are distracted. In 2018, distracted driving has become more prevalent than ever before. Busy work and personal schedules, more people on the road, and technology are just a few contributing factors that have made driving more dangerous. 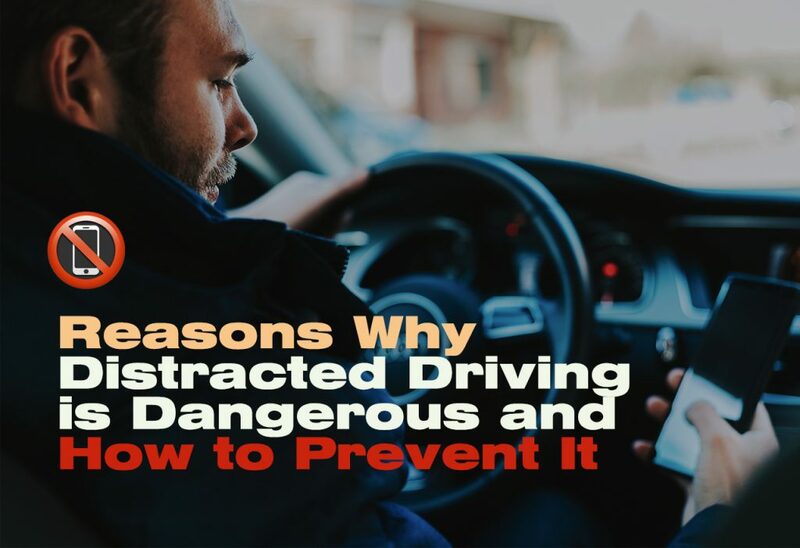 The following tips will help you learn why distracted driving is dangerous and how to prevent it. Most of us have probably have been distracted at some point in our lives while driving. Making a conscious effort to have our full attention on the road can prevent injury or a tragic accident. Although cell phones are not the only culprit of a distracted driver, they are indeed a primary cause for concern. If you have a terrible habit of regularly using on a cell phone while driving, just place it in a location that is out of reach. Just because you don’t have something in your hand, doesn’t mean you are paying attention to the road. If you are talking to someone on the phone or playing loud music, you still might be at risk. Visual and auditory distractions aren’t the only thing about which you need to worry. Having the correct mindset is essential to operate your vehicle safely. Being in an extreme high or low emotional state could hinder your ability to drive. In addition, you should never attempt to drive if you feel drowsy or sleepy. Don’t always think that a teenage driver is the only person that’s a higher driving risk. If you are a parent, then set the example of a driver with full attention on the road. Leading by example can help teen drivers to make the best decisions on the road. Being distracted is a regular part of everyday life. However, trying to limit distracted driving can save lives. The next time you get in the car, think about what you can do to be an alert driver.